for breakfast, which is perfectly fine in my book. It's an indulgent way to start your day! 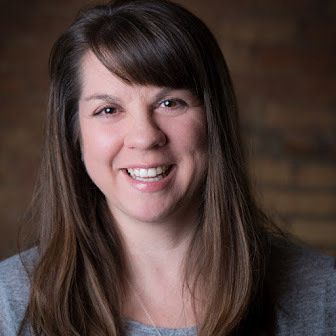 We all know how much I love breakfast, so I'm not going to bore you with my thesis on weekend breakfast making. It's not like you haven't heard it before. What I will say is this - I love having sweets for breakfast. 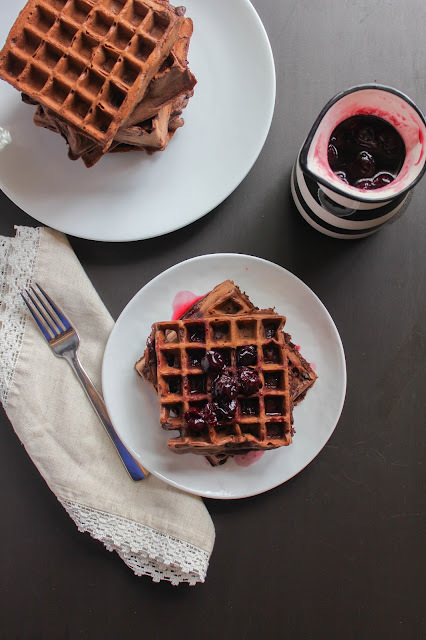 Whether it's pancakes or French toast or waffles, I typically make sweet dishes over savory. But that's the sweet tooth in me taking over. She really likes sweet treats. 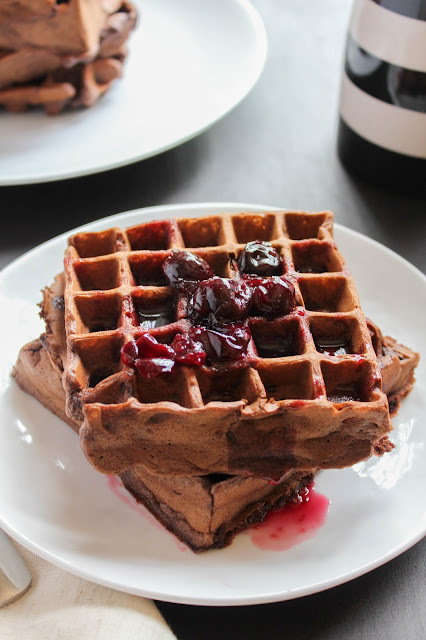 These Dark Chocolate Waffles with Cherry Syrup are hands down my favorite waffles at the moment. I mean, who wouldn't love chocolate for breakfast? It's like you're eating dessert for breakfast, and that is perfectly acceptable to me. Don't you agree? Both the waffles and cherry syrup are really easy to make. The syrup consists of just four ingredients, and will be simmering away while you cook your waffles. About the time you're ready to sit down to the table and eat, the syrup will be done. How simple is that? My local store carries frozen Michigan sweet cherries, but feel free to substitute with whatever frozen cherries you're able to find. If you do happen to use tart cherries, you may want to increase the sugar just a bit. I like a sweet syrup, but not overly sweet. 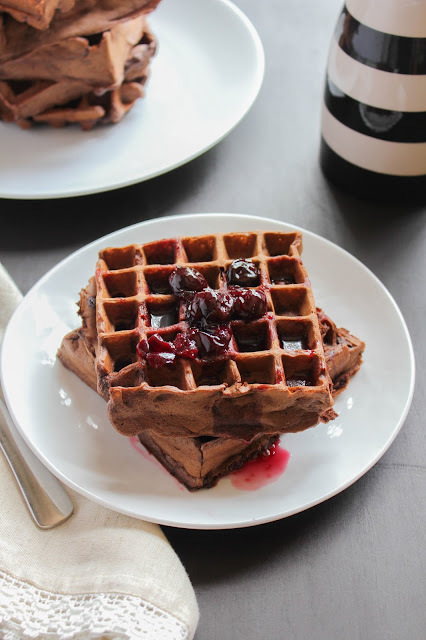 This week's Sunday Supper theme is all about our favorite Waffles! 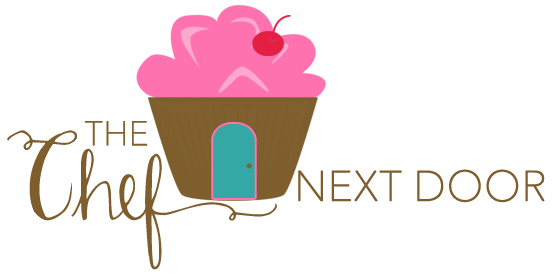 Check out the list below to see what my friends are sharing and find some new waffle recipes to try, both of the sweet and savory kind. I've got a few already on my list to make next weekend! 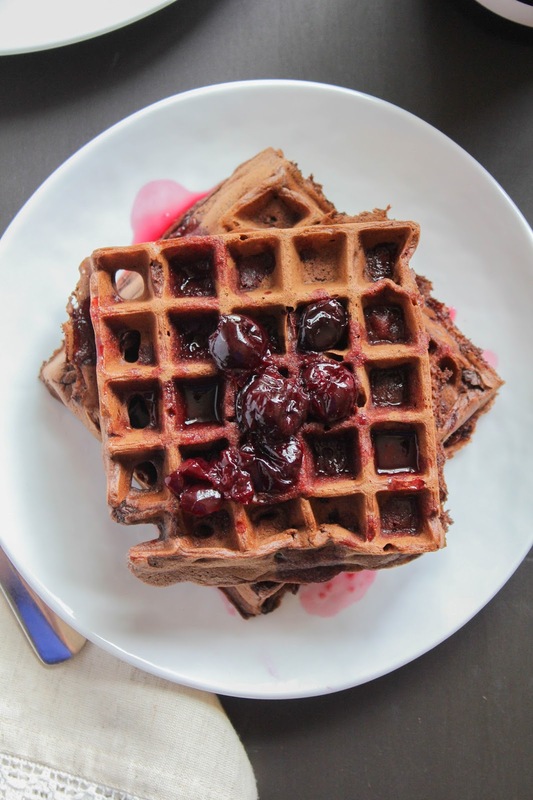 So, are you ready to make these decadent chocolate waffles? Let's get started! First make the syrup. Bring all of the ingredients to a boil in a medium saucepan. Reduce the heat and simmer, uncovered, for 20 minutes. While the syrup is cooking, make the waffles. Heat a waffle iron following the manufacturers instructions and lightly coat with nonstick cooking spray. Whisk the flour, cocoa powder, sugar, baking powder, baking soda, and salt in a large bowl. In a small bowl, whisk together the eggs, milk, coconut oil, and vanilla. Make a well in the center of the dry ingredients and add the wet ingredients, mixing until just combined. Working in batches, cook the waffles until cooked through. Transfer to a wire rack and keep them warm in a 200 degree oven until ready to serve. Top with cherry syrup and powdered sugar, if desired.